Hello epoch team I get these errors when trying to launch my own deticated server. The problem is when I launch my server, I get 3 different errors here are photos of the errors. 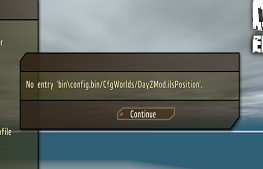 I have DayZ Epoch enabled in expansions and still getting errors. It wont even let me into my server and just says waiting for host... I get Sauerland requires addon chernarus when starting my server from the .bat file. The other error is waiting for host when I join my own testing server.